Near the Eiffel Tower and the River Seine you can enjoy different escapades on the river. 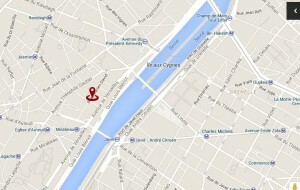 To be sure to not lose a crumb we have selected for you some hotels in nice neighbourhoods of Paris. This magnificent 4-star boutique hotel offers an innovative design conceived by designer Olivier Lapidus (yes, he is the son of Ted Lapidus). Situated in the heart of a chic quarter in the 16th district of Paris, Félicien Hotel enjoys the peaceful and elegant environment offering 34 guestrooms, a few minutes from the River Seine, the Eiffel Tower, the Trocadéro and the Bois de Boulogne park. As far as we are concerned, we appreciate this hotel for its warm welcome (the staff is very friendly and pleasant) and its design which has been remade two years now. Despite the lack of a restaurant, we really appreciate the innovative concept of the honesty bar. 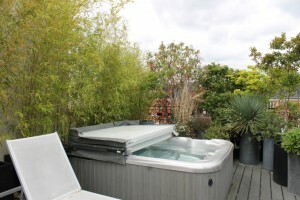 The two suites in this hotel are the thing that really make the difference: they each have a private terrace overlooking the roofs of the neighorhood, they are very cosy with no “vis-à-vis” and the environment is very pleasant. The price depends on the season, for example the white suite beginning around 480 euros (breakfast included), in the spring. Contemporary, the Hotel Square is a unique place in the 16th district of Paris. This modern 5-star hotel in the City of Light is situated a few minutes from the River Seine and of course, the Eiffel Tower and the Trocadéro. This hotel offers 22 spacious guestrooms, a Spa by Nuxe, a delightful restaurant and two reception rooms that you can book for corporate or private events. 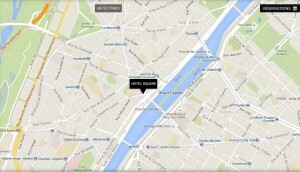 The Square hotel uses noble materials, rare woods and had marble bathrooms. Everything has been thought of to spend an unforgettable time here! As for us, we really appreciate the area and the structure that this hotel offers ! The staff is polite and helpful they gave us a lot of information about the hotel which was built in 1995. 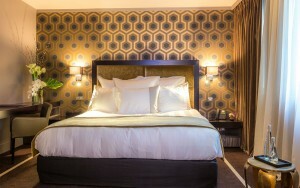 Moreover, the hotel name is represented in the guestrooms: some walls are in zebra in grey or brown shades. 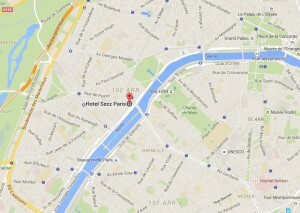 The hotel Sezz Paris, open in 2005, is a boutique hotel with 13 guestrooms and 13 suites with a contemporary design. 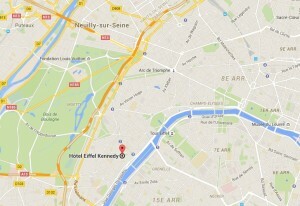 This hotel is situated in the 16th district of Paris, at the foot of Village de Passy and the Pont de Bir-Hakeim, close to the Eiffel Tower, the River Seine, the gardens of Trocadéro and the Allée des Cygnes. This hotel offers a very original and urban universe entirely thought of by the famous designer Christophe Pillet. 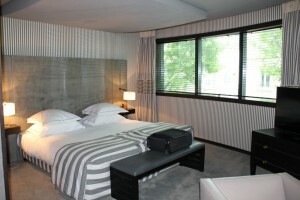 Le Sezz hotel proposes spacious guestrooms with a minimum of 20 m² and 32 to 70m² for suites. There is also the Spa by Payot and a pub which is called La Grande Dame (it offers a range of Champagne and products by the famous brand Veuve Clicquot). The Juliana is a 5-star hotel, situated in the 7th district of Paris, within a few minutes of incredible sites of the capital. 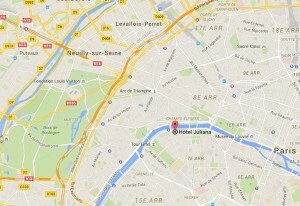 The Juliana hotel allows you to access rapidly to the Eiffel Tower, the River Seine, the Champ-de-Mars, the Quai Branly museum, the Arc de Triomphe, the Invalides, the Grand Palais and also the famous Avenue Montaigne. 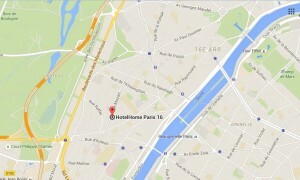 Ideally situated in the 16th disctrict of Paris near the Eiffel Tower and the River Seine, this 3-star hotel offers you all the comfort of a charming hotel with a warm welcome and a refined comfort. You will appreciate the courtesy of the staff who are at the same time discreet and very attentive! The pros of this hotel is its the homemade buffet which is diverse and you wouldn’t want to miss it! The staff is very warm and present to help you if you have questions about the activities to do not far from the hotel (such as the walk in the Allée des Cygnes). For families, this is the hotel that we recommend! Hotelhome is an aparthotel with 17 apartments of 30 to 65m² in a Haussmanian building in the 16th district of Paris, recently renovated. HotelHome meets the demands of customers who are inscreasingly mobile, it’s a perfect place for business people who wants to accommodate their associates when traveling. 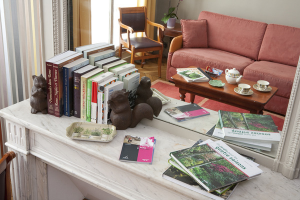 Its an enjoyable residence of a convivial size situated at the heart of a pleasant Paris, close to the Eiffel Tower, the River Seine, the Roland Garros tennis stadium, the neighbourhoods of Auteuil and Passy and close to the garden of Bois de Boulogne.